While Siri’s voice recognition feature can leave something to be desired, iPhone’s virtual assistant knows an impressive list of commands, and Amazon’s Alexa has more than 7,000 skills. Last year, there were more than 24 million voice-enabled devices sold, a big leap from previous years. Amazon Echo and Google Home are the two top-selling smart speakers/home assistants, but there are others out there and others planned for the market. What’s important to know for 2018 is that users are embracing voice command and more than willing to let AI make their lives easier. Although using voice recognition might make some people want to throw their phones, virtual assistants with artificial intelligence (AI) are becoming more and more a part of everyday life. According to the Pew Research Center, 46 percent of Americans use digital voice assistants. More than 80 percent say they take advantage of the technology so they can use their hands for other things, making it a valuable convenience — except when it doesn’t quite work as expected. Of the respondents, 39 percent said voice assistants respond accurately most of the time. Also in the Pew survey, more than a quarter of users said they use voice assistants to connect remotely to other devices. 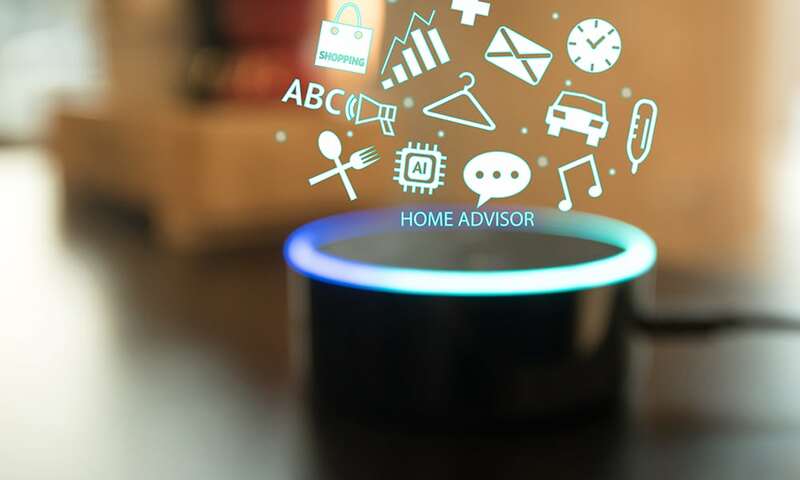 With Gartner predicting that 2020 will see 20 billion devices connected to the internet of things (IoT), the capability to connect to and control devices remotely with voice technology will simplify their use and management. 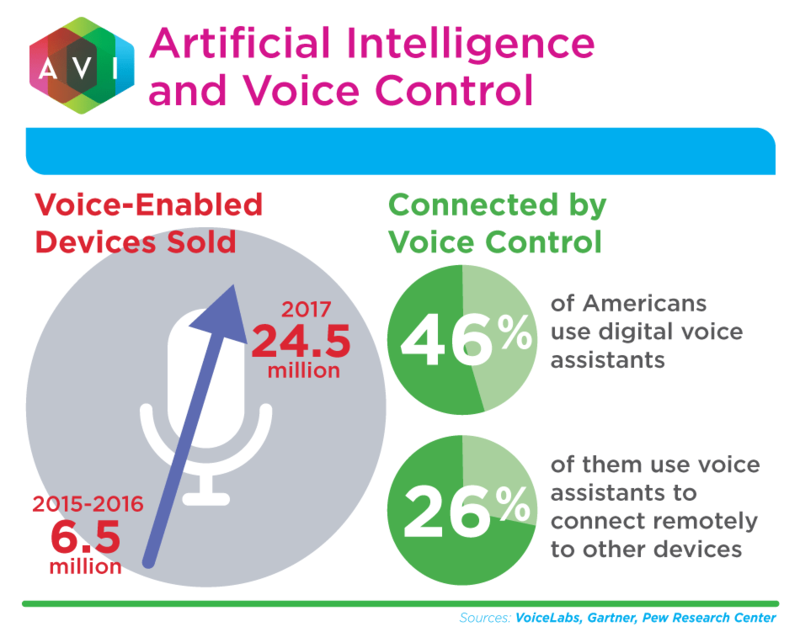 Despite the boom, some users are hesitant to fully take advantage of voice control technologies. The more connected your devices are, the more security is at risk. Virtual assistants that are always listening increase the chance that someone else could also be listening. And what will companies do with your data and how will they protect it? These worries will be part of the ongoing conversations about AI and voice technologies in 2018. Regardless of any hesitation or unresolved concerns, existing users aren’t ready to give up the conveniences of voice control technology. Of those already using smart speakers, 65 percent say they don’t want to go back to the days before they had the technology. In 2018, users will have the choice to use voice control in even more places, including the shower and the car. Expect to see more and more voice-controlled gadgets in general. The next post in this 2018 tech trend series will address how much AI and voice control will or won’t impact business in 2018. In the meantime, read more about how AI is changing control systems. What do you think about virtual assistants? Any ideas for what's in store? Well, if you have any ideas, please share them with us. And, since this blog post is a part of a series, let's also talk about virtual reality while we're at it. Read more in this post.